Technology is transforming the world, in ways big and small, at an unprecedented pace today. Governments are attempting to capitalise on this revolution to transform what they do and how they do it. Their efforts are structured around building smart cities, delivering citizen-centric services, facilitating the growth of the digital economy. Enabling people to live happy, fulfilled lives is the underlying objective for these initiatives. But there is always the risk of losing sight of the individual ‘humans’ in the dazzle of shiny technologies and the din of buzzwords. The Dubai Government has been at the forefront of harnessing digital technology for improving the lives of residents and visitors. The launch of the ‘Happiness Agenda’ in 2016 placed individuals and their happiness at the heart of the city’s smart transformation initiatives and set a target of making Dubai the happiest city of earth. It is an ambitious goal. Even defining ‘Happiness’ is challenging, let along using technology to promote it. 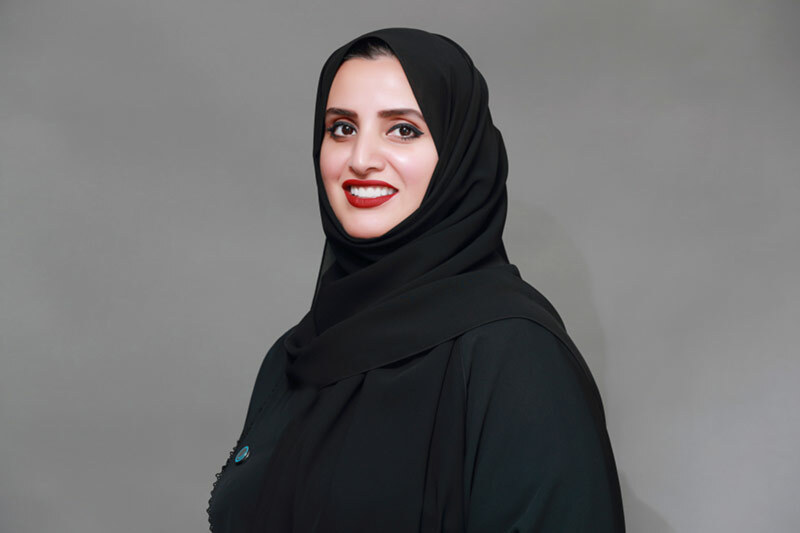 OpenGov had the privilege of conducting an email interview with Her Excellency Dr. Aisha Butti Bin Bishr, Director General of the Smart Dubai Office (SDO) to learn how the City is working towards the achievement of this unique vision. Can you tell us about the origins of the Happiness Agenda and the idea behind it? Dubai’s smart city initiative is defined by the vision of His Highness Sheikh Mohammed Bin Rashid Al Maktoum, Vice-President and Prime Minister of the UAE, and Ruler of Dubai: to make Dubai the happiest city on Earth. In adopting this vision, Smart Dubai revolutionised the concept of a successful smart city — one that measured success by the scale of its technological solutions — and refined a smart city as one that directed emerging technology to promote the quality of life and well-being of its residents and visitors. Wielding technology as an enabler, Smart Dubai has oriented its strategy and approach towards providing the city with the right tools and policies that will help make life happier for everyone. We are working diligently with our partners across the city to prepare the foundation for a sustainable smart city transformation that prioritises people’s happiness in everything we do, and will become a benchmark to smart city transformation for the emerging world. The Smart Dubai Office launched the Happiness Agenda in May 2016 to guide its citywide smart transformation to prioritise happiness. The Happiness Agenda adopts a globally unique, science-based and methodical approach to impacting happiness for the whole city. Under the Happiness Agenda, Smart Dubai is introducing a framework to ensure that individuals’ happiness, satisfaction or well-being is factored into leadership’s decision-making on important city projects; that all residents and city stakeholders are educated on how to prioritise happiness; that the happiness of individuals is measured; and that all city constituents contribute to a unified definition of happiness for the city. How does the Happiness Agenda tie in with the rest of Smart Dubai initiatives and projects? What is the role of technology? The Happiness Agenda is a strategic initiative that supports Smart Dubai projects across all six city dimensions. The Happiness Agenda defines a mindset-shift and decision-making framework to guide city leaders to prioritise happiness in everything they do. Guided by the five Happiness Needs defined by the agenda, city leaders benefit from an evidence-backed prioritisation matrix enabling them to champion the best upcoming services and initiatives that will maximise the happiness of Dubai residents. The Happiness Agenda is enabling city leaders to focus on the new technologies that will garner the greatest positive impact for the city. The Happiness Agenda is being implemented across more than two dozen government departments, aided by Happiness Champions who have been nominated by senior city leadership to guide the city’s transformation to a smart city that prioritises people’s happiness in everything it does. The Happiness Agenda is a powerful example of the positive impact of data for a city. Backed by data gathered through Happiness Snapshots and the Happiness Meter — two important “Discover” and “Measures” outputs of the Agenda — the Happiness Agenda team is building a data-rich decision-making algorithm that will help city leaders take decisions to promote happiness informed by quantifiable, data-backed predictions. The agenda talks about deep, live and target-driven measurement of satisfaction and happiness levels. We read about Happiness Meters and the Vocal Emotions technology. Could you share more about the measurement aspect and the directions being explored? Happiness Meters: In order to become the happiest city, we knew that we would need a way to listen to everyone in the city, and understand their current levels of happiness with city services. Only with this data, would we then be able to introduce new programs to increase happiness across the city and achieve our vision. With this in mind, we developed a prototype in October 2014, to capture customer satisfaction levels at every city interaction touchpoint, and we called it the Happiness Meter. The Happiness Meter is now available for both public and private sector entities and on all digital customer interaction channels: with web-based widgets, mobile application plug-ins, and tablets installed at customer services centres and other interaction touchpoints. Data collected from Happiness Meters power an analytics dashboard to track happiness levels across the city in real-time. We call this the Happiness Index. Already, the Smart Dubai Happiness Meter has been adopted at over 1,000 customer touchpoints in the public and private sector; has recorded more than 6 million votes, and is reporting a real-time happiness index of 90% for city services. We are now working on initiatives that will analyse the residents’ emotions and sentiments as well. Our goal is to increase Dubai’s happiness index level to 95% by 2021. Happiness Snapshot: As part of the initial assessment of the state of Happiness in Dubai, SDO (Smart Dubai Office) conducted an initial study, utilizing standard academic surveys aimed at measuring different aspects of Happiness. These included the Cantril ladder, used in the World Happiness Report, as well as psychological instruments aimed at measuring people’s values and their satisfaction with life domains, such as health, housing, education. The first Snapshot study sampled over 2,000 Dubai residents, while the second Snapshot sampled 10,000 residents, representing the overall mix of the local population in terms of demographics. The results were used to gain an understanding of the motivations, values and domain satisfactions in Dubai, as well as find correlations for specific segments, and therefore be able to guide further interventions more accurately. For example, the data show that for Emiratis, ‘housing’ has a high correlation with happiness, and upon further investigation, SDO is now working with Mohammed Bin Rashid Housing Establishment (MRHE) in order to improve satisfaction with their services, and thereby enhancing happiness. Vocal Emotions Technology: Smart Dubai has also recently signed an MOU with Japanese firm Smartmedical to conduct research and explore the concept and design of ‘Vocal Emotions’ technology. Vocal Emotions technology measures the types of emotions people are experiencing at a given moment by analysing the tonality and other properties of their voice. ‘Our question isn’t what does it mean to be happy — rather we ask, what do we need to be happy?’ How do you find out the range of needs (from basic to eudaemonic) as described in the agenda? How do you ensure that no individual is left out? The Happiness Agenda is built on a framework of four portfolios: Discover, Educate, Change and Measure, to guide Dubai’s transformation to a smart city that positively impacts city experiences for everyone. To make this transformation possible, the Happiness Agenda further identifies five ‘Happiness Needs,’ rooted in the field of positive psychology, and psychology in general, that must be met in order for individuals to achieve sustainable well-being. These Happiness Needs, once fulfilled, lead towards achieving a happiest city experience for all. To address affective & emotional needs, we are: Providing opportunities that lead to positive emotions & feelings such as fun, joy, and other hedonistic pleasures. To meet our residents’ basic needs, we are: Allowing people the ability to access services in an easy, efficient, convenient and seamless way. To address people’s cognitive needs, we: Help people achieve a high sense of well-being and satisfaction with their lives. And to support people’s deeper needs, we: Support people in engaging and meaningful activities that maximise their sense of purpose and meaning in life. Finally, for enabling needs, we: for intrinsic enablers, provide opportunities that help individuals understand themselves, their predispositions, skill and how these influence their happiness, and ways to improve them, and for extrinsic enablers, support and highlight opportunities that help improve external and environmental influencers that would raise happiness. Although these Happiness Needs are universal, we recognise that each individual experience happiness differently according to his or her cultural context. Dubai is a truly international city, home to over 200 nationalities. That is why one of the first activities we conducted was the Happiness Snapshot, under the Discover portfolio, where we identified the basic and higher needs of individuals representing the true demographic mix of Dubai, and established a cultural baseline for happiness in Dubai that reflects the needs of our diverse population. Can you provide some examples of the ways in which measurement results can be used for interventions to meet needs or improve ‘happiness’? Happiness Dashboard: The results of all Happiness Meter votes are updated instantly on the Happiness Dashboard. Each entity’s CEO has access to the results of their respective organization, and all the leadership of the city has access to all results. Should there be a spike in ‘sad’ votes, entity CEO’s can pin point precisely what touchpoint(s) are responsible for this, and can take corrective measures accordingly. In fact, we have had several reported cases of such examples. Happiness Snapshot: As mentioned earlier, the data and subsequent analysis obtained from the initial snapshot led to further investigation and action to enhance specific experience touchpoints with the housing sector. What kind of partnerships are being built with academia and private sector for the Happiness Agenda? Happiness Meter: In order to get more accurate results from the city, we have now opened the Happiness Meter to the private sector as well. Over 100 organizations have already adopted the happiness meter in all their service centres and sales points. RIT Dubai: The Smart Dubai Office and the Rochester Institute of Technology (RIT) Dubai have launched a Corporate Happiness Diploma. Offered in conjunction with performance-management and consulting company Gallup, the program will educate senior professionals on the key concepts of happiness and provide them with the tools which will help bring the concepts back to the organization. Through this program, the Smart Dubai Office and RIT aim to help students to understand the scientific and practical notions of happiness in a professional environment; understand leadership strategies and techniques that can increase happiness and be able to apply them; and become an expert in current best practices of corporate happiness measures in the UAE and beyond. Happiness Hackathon: In February this year, forty hackers from four international hacking teams were gathered with 28 Happiness Champions from 23 government and private sector entities at Dubai International (DXB) Terminal 3 to build new smart solutions delivering happier city experiences in Dubai. ‘Happiness Hack Dubai: Smart Travel Experience,’ was the first in a series of hackathon events hosted by Smart Dubai to discover, design and prototype new solutions bringing happiness to the travel sector, in line with the mandate of the Smart Dubai Happiness Agenda, to achieve 95% happiness for Dubai by 2021. Once these prototypes are being further developed to be used as full time products and services, we will need the support of the private sector to implement them city wide. Gallup & Oxford University: In order to assess the degree of correlation of happiness measures to smart city dimensions, as used within the Smart Dubai strategy, SDO collaborated with Gallup and Oxford University, to analyse existing Gallup data in order to find out the dimensions that most influence happiness. In this way, SDO can make data-based recommendations on how best to use resources and direct forthcoming projects in a way to have maximal impact on happiness in the city. What are the long-term outcomes expected from the Happiness Agenda? The Happiness Agenda executes the vision with Smart Dubai, to make Dubai the happiest city on earth. The work of the Happiness Agenda contributes to the Smart Dubai 2021 strategy, to achieve 95% happiness on the customer impact axes. The Smart Dubai initiative has an ambitious mandate. Not only to make Dubai a technologically advanced city, but — much more importantly — to make Dubai the happiest city. But the aim of the Happiness Agenda isn’t just for Dubai to be happier. We are working to make Dubai a case study in prioritising happiness for our peers in the international community. We want other cities to learn from us to increase happiness for their people. Working together and learning from each other — across sectors and across boundaries — we will deepen the value of our smart city transformations, and enrich city experiences for all people. The World Happiness Report 2017, published by the United Nations Sustainable Development Solutions Network, ranks over 150 countries by their happiness levels.